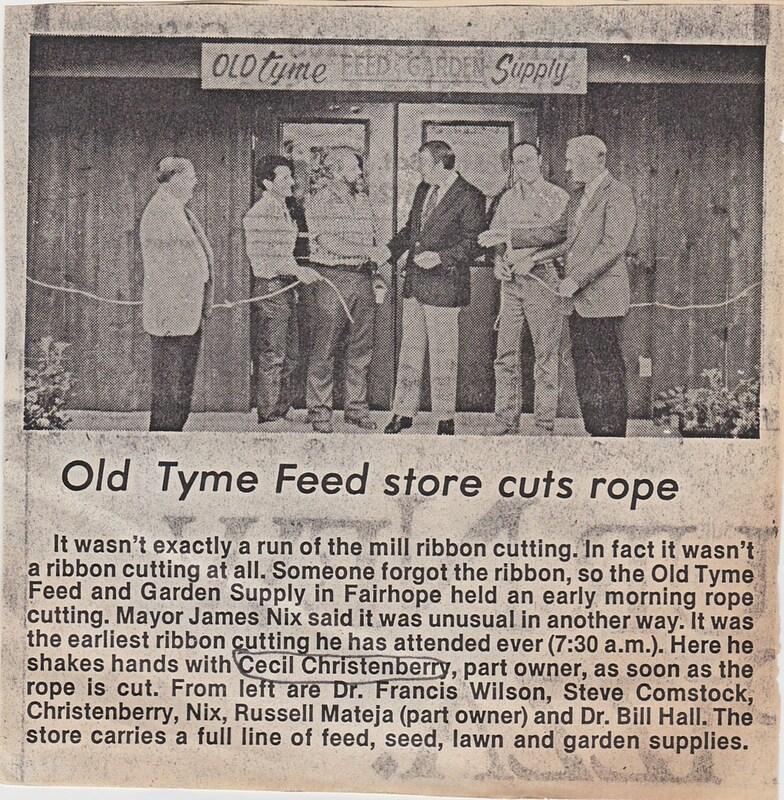 After much prayer and consideration, Cecil and Linda Christenberry opened Old Tyme Feed & Garden Supply in 1987. 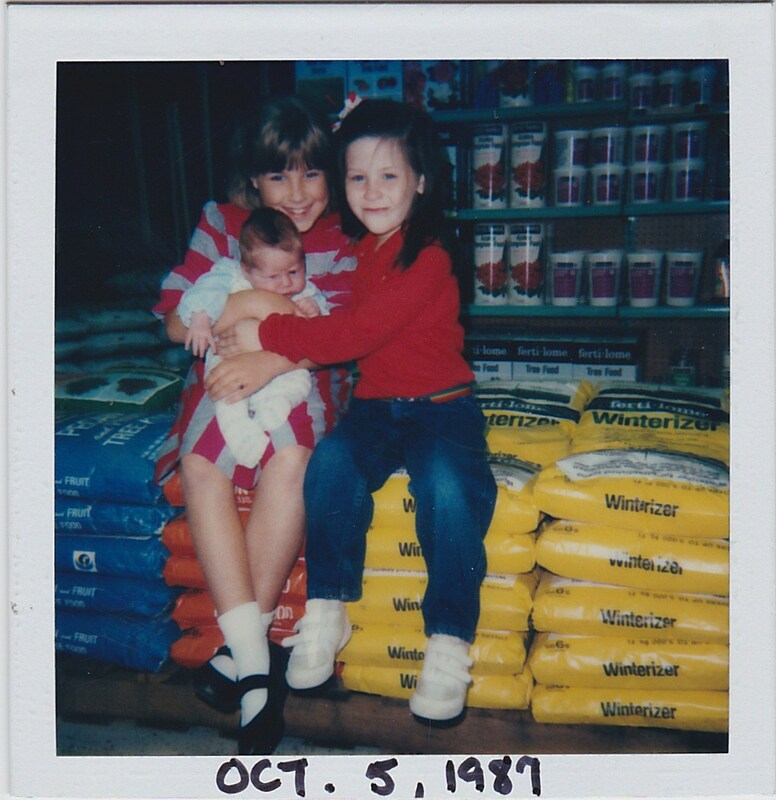 The operation was born from their agricultural passion and desire to raise their three daughters (Amanda, Abbey and Alison) on the beautiful Eastern Shore of Mobile Bay in Fairhope, Alabama. Our Grand Opening “Rope Cutting” was held at 7:30am on October 5 and was well-attended, including the town’s mayor, a couple of preachers and our dear supporters. At that time, our girls were only 8 years, 5 years and 3 weeks old. Since then, our family and business has continued to grow! God has blessed with us two wonderful grandsons (Sawyer and Shepherd) who are growing up at Old Tyme Feed just like their mama did! Our small-town family enjoys living here on the Gulf Coast and serving other families with old-fashioned values and friendly service. We are proud to have the world’s greatest employees working here with us, they’re family too - the “Old Tyme Feed Family”. Each of them is knowledgeable, friendly and eager to help any guest at a moment’s notice. It is our shared focus to ensure that every customer is completely satisfied. For that reason, we stand behind each and every one of our products...that is, except the manure spreader. With our growing inventory of feed and garden supplies, we’re confident we'll have what you’re looking for. 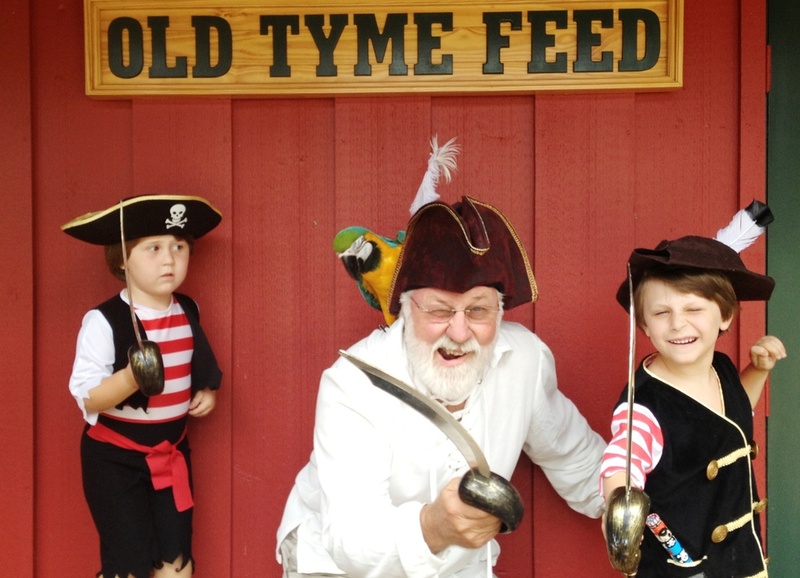 We invite you to bring your family on over and visit ours at Old Tyme Feed. We look forward to greeting you with a cup of coffee, warm hello and helpful service. Learn more about our DELIVERY OPTIONS.